With the New Year comes planning and goal setting to become the best you yet. After all, "New Year, New Me!" As cliche as it sounds, the New Year is a great time to reinvent yourself if you've been lacking motivation after the hectic, food-filled holiday season. We know, easier said than done. Most people create these amazing goals for themselves but simply can't seem to get started. The culprit, gymtimidation! 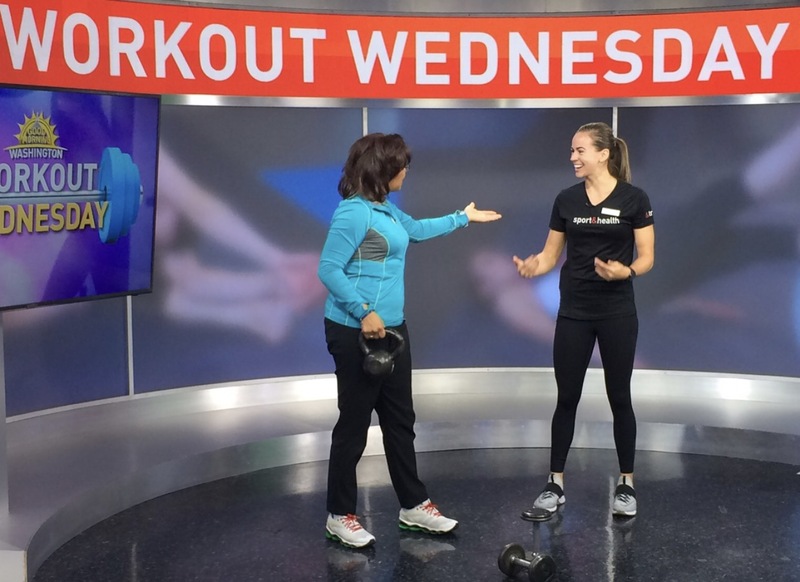 Sport&Health's very own, McKenna Smet stopped by ABC 7 News - WJLA, Washington to share her best advice on how to follow through with your plans and avoid set-backs. Get started: The hardest part is starting. Push yourself to make the big move and sign up for a gym membership. Once you get started, going to the gym becomes part of your daily routine. Make small, attainable goals: Setting realistic goals for yourself that you can actually achieve make your journey feel worth it. Always work hard, but don't forget to reward yourself when you've accomplished something amazing! Settle in for the ride: Staying healthy and fit is a lifestyle. You have to put in the work and stay consistent to see changes. Take group classes: Signing up for a group class can keep things interesting. Having a #fitfam to back you up makes the journey even more fun! Don't be afraid of personal trainers: A great way to get started is by signing up for personal training. Trainers will help you learn proper form on your exercises, keep you on track to reach your goals, teach you the ins and outs of the gym and so much more!